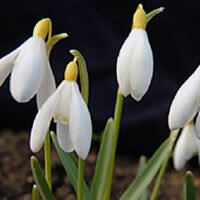 Galanthus nivalis (Sandersii Group) ex Lowick, the yellow form of our common snowdrop. The intensity of the yellow colouring can vary. Cambo grown Lowick has a glorious yellow tone, almost like egg yolks. 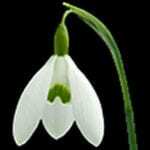 A good reliable Scottish Snowdrop. A must for any collector. 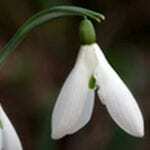 Our Cambo collection of specialist snowdrops are sent out as adult bulbs, lifted after flowering. 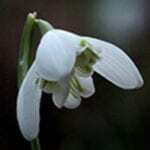 Our team dig snowdrops on the day of their dispatch. 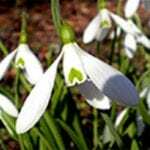 Our bulbs are labelled and wrapped in damp moss, sent out the same day by first class post, or 24 hour courier for larger orders.